Inhalers are small devices which store and dispense a medicine as it is needed. They work when the user breathes in or inhales, hence the name. These portable containers are often used by people with a chronic obstructive pulmonary disease or other lung complaints, like asthma. As there are many different sorts of COPD treatment inhaler, it can become quite confusing for people who are new to the treatment. Here is a look at the various devices used, along with some details about their individual benefits. 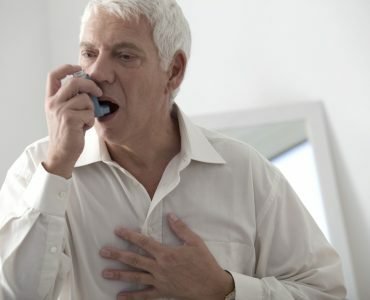 Inhalers can dispense the drugs used to treat COPD right to the heart of the problem. As the user breathes in, the medicine is inhaled right into their airways, so it is often the case that less is needed compared to taking a tablet. Primarily, it is the lungs and airways which are treated by inhalers, but some of the medicine is also transported around the body. 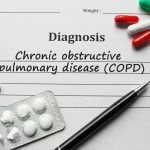 When we talk about the name of an established drug, or new treatments for COPD cough, there are often two different versions. One is the generic name, which refers to the medicine’s proper name and one is the brand name, or proprietary medicine name. With a wide range of colored inhalers, the different names can certainly add to the confusion. However, on a basic level, the COPD medicines dispensed from inside inhalers can be separated into four groups. These are steroids, long-acting bronchodilators, short-acting bronchodilators and combination inhalers, which provide two drugs at once. 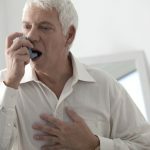 Many people with COPD have an inhaler with a short-acting bronchodilator drug. These work by encouraging the muscles in our airways to relax and open up, because the feeling is immediate, many people call them relievers. 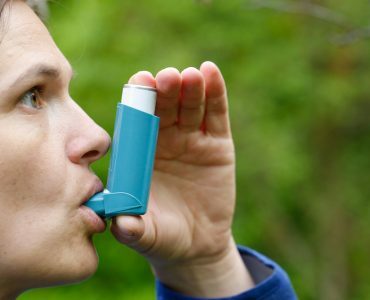 Salbutamol is one of the best known, but it is also referred to by the brand names Ventolin and Asmasal. Often relievers are blue, but this is not always the case. 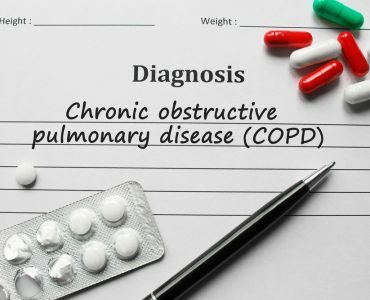 It feels good to have your symptoms relieved in the short term, but a more advanced COPD treatment will provide doses that last up to twelve hours. 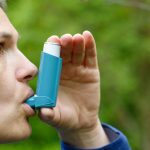 These long-acting bronchodilator inhalers function in much the same way as a reliever and are helpful for people who continue to be affected by breathlessness, despite taking their salbutamol. Formoterol is a long-acting version, its brand names include Serevent and Oxis. It is often presented in a green inhaler, but as new COPD medication is made available the packaging can change. Steroid inhalers are frequently prescribed along with bronchodilator inhalers when someone has quite severe flare-ups which occur regularly. Steroids act to minimize any inflammation inside the lungs but they do not take effect straight away. They are not designed to work on your day to day symptoms, but to cut down on the number of attacks you have. For this reason, they have become known as preventers. Beclomethasone is a popular generic preventer, but it is often branded as Qvar, Beclazoneor, or Clenil. Mostly, these come in a brown inhaler. Many new treatments for COPD come as a combination therapy, and inhalers can include two types of drug which work together. Combination inhalers usually dispense a steroid, along with a short or long-acting beta-agonist. Those with formoterol and beclomethasone are branded Fostair, while salmeterol and fluticasone are branded as Seretide. They may be in a purple inhaler and are mainly given to COPD patients who experience frequent, severe attacks.